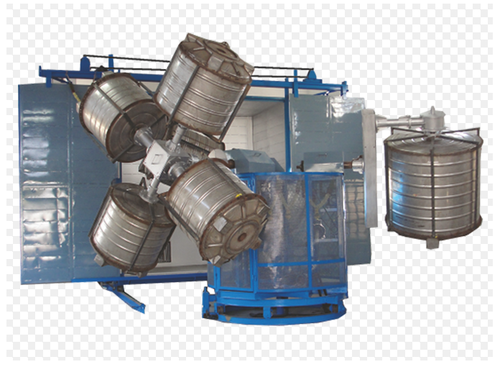 Relying on our vast industry experience and sophisticated facilities, we are engaged in offering a quality assured range of Bi-Axial Rotational Moulding Machine. These are offered in varied finishes and capacity range of 10000 liters. We also offer excellent installation and other after-sales services for this machine. Established in the year 2007, at Gujarat, India, we “Gabbar Industries Pvt. Ltd.,” are one of the leading and well recognized names in the field of manufacturing, exporting and supplying of latest technology based Bag closing machines and Bag making machines. Here, our expertise lies in making these available in both standard as well as customized parameters so as to perfectly match up with the end working demands of the customers.